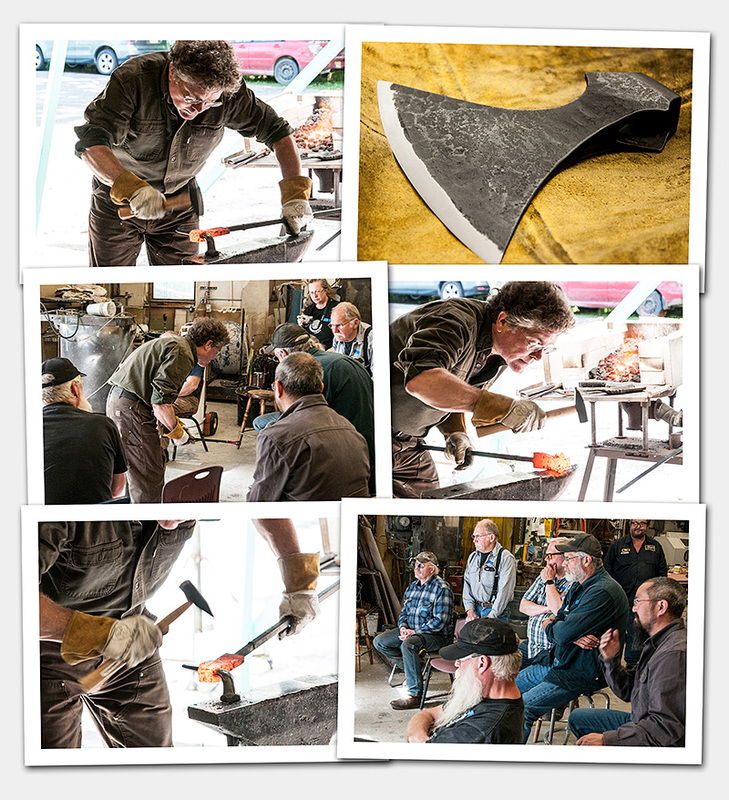 The Valley Arts Alliance assisted the Association of Alaskan Blacksmiths in presenting a Blacksmithing demonstration by James Austin at Arctic Fires Bronze, 15615 Outer Springer Loop in Palmer over the August 5 & 6 weekend. James Austin is an artistic Blacksmith from Oakland, California, who authors instructional videos and teaches classes. At Arctic Fires Bronze, James demonstrated his techniques for crafting forged welded Viking-style axes.